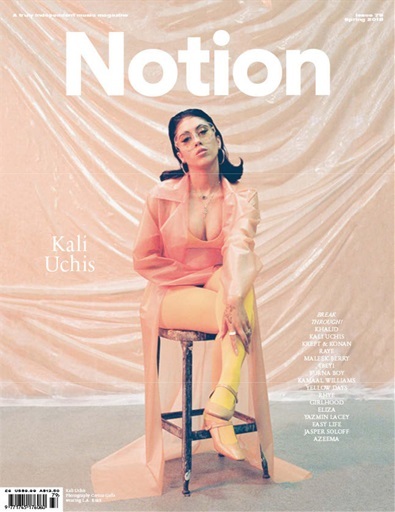 Notion's first cover star of the Break Through issue is Kali Uchis, the Colombiana who's created her own musical universe and collaborated with everyone from Bootsy Collins to Tyler, the Creator. Ahead of her long-awaited debut album 'Isolation' we meet the modern icon to talk taking her time, inventing a whole new world for her work and fighting her way to the top. Notion 79 is all about breaking through. Dedicated to our favourite glass ceiling smashers, industry subverters and musical pioneers it's a tribute to a new wave of music and fashion talent and the legends of the future.